I've lifted and rationalised all the MJP Store components into one handy web site which, incidentally, has recently been updated with loads of new products. 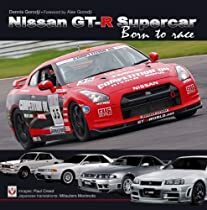 For books (read about the new GT-R - recently released publication) , DVDs, games, model cars (like the great 370Z RC model below), Cool Art mugs with a Nissan theme (check out that mad 300ZX!) and a range of clothing featuring Top Gear, Humour and some great bands go to MJP Store. If you want to shop for our great range of Nissan car parts - Datsun and Nissan Fairlady Z and ZX, 200SX, GTi-R, Skyline, Silvia and the great new GT-R, then go no further than MJP Parts Shop. Don't forget that this On-Line Store is only the tip of our parts iceberg - if you don't see what you want, call 01277 374201 to discuss your requirements!